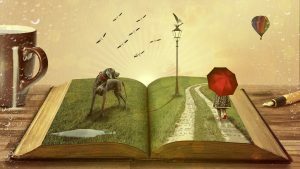 An interesting question from my perspective is, where do fairy tales come from, what is their source? Are they the fruits of single authors, who fully understand what they are saying, or is their origin more mysterious? They are described as simple folk tales; Joseph Campbell says that the Grimm brothers collected theirs from “simple folk of the farms and villages round about, and in the spinning rooms and beer halls of Kassel”; Wilhelm’s wife and her five sisters “had been grounded in fairy lore by an old nurse” (1). Now, if these tales perform the subtle psychological functions that Bettelheim (from the first article) describes, if their creators knew what they were doing, they would have to have had a very subtle appreciation of child psychology. It is hard to believe that the Grimms’ sources had the sort of things Bettelheim talks about in their minds when they spoke. If they didn’t, where do the stories come from? Fairy tales make use of a highly symbolic language. The same is true of myths and dreams. It is reasonable to assume that, although there are differences, there is some connection between them. They all contain subtle wisdom, seemingly superior to that of the conscious mind. It is obvious that dreams have a source that is completely independent of the conscious ego, and we suspect that this is also true of myths. Is it also true of fairy tales? There is a definite overlap between fairy tales and myths, especially those which focus on the journey of a hero figure. 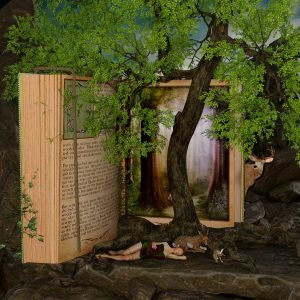 It is certainly possible for a spiritually knowledgeable author to create a profound fairy tale solely on his or her own initiative. For example, the author of The Wizard of Oz, L. Frank Baum, was a member of the Theosophical Society, and his story has been described as a Theosophical allegory. The same can also presumably be said of Apuleius (articles 3 and 4 above), who is said to be the author of the whole of the novel Metamorphoses. These would seem to be exceptions, however. My suggestion, which is obviously purely speculative, is that the tales might be the creations of some kind of collective Higher Self, a world soul, the anima mundi. Like myths, fairy tales are creations of the psyche, the purpose of which is to inform and educate. How they make their way into human consciousness remains a mystery. If that is true, it would explain why Bettelheim was so insistent that the stories should be told in their original form. That would be why it is so important that we do not meddle with them, changing them in order to appear more politically correct. Who are we to interfere with such wisdom, thinking we know better? We cannot change a dream; why would be therefore want to change a fairy tale?